Rick Ross wears Tnemnroda I'll Be Rich Forever sunglasses in the music video for Monkey Suit. 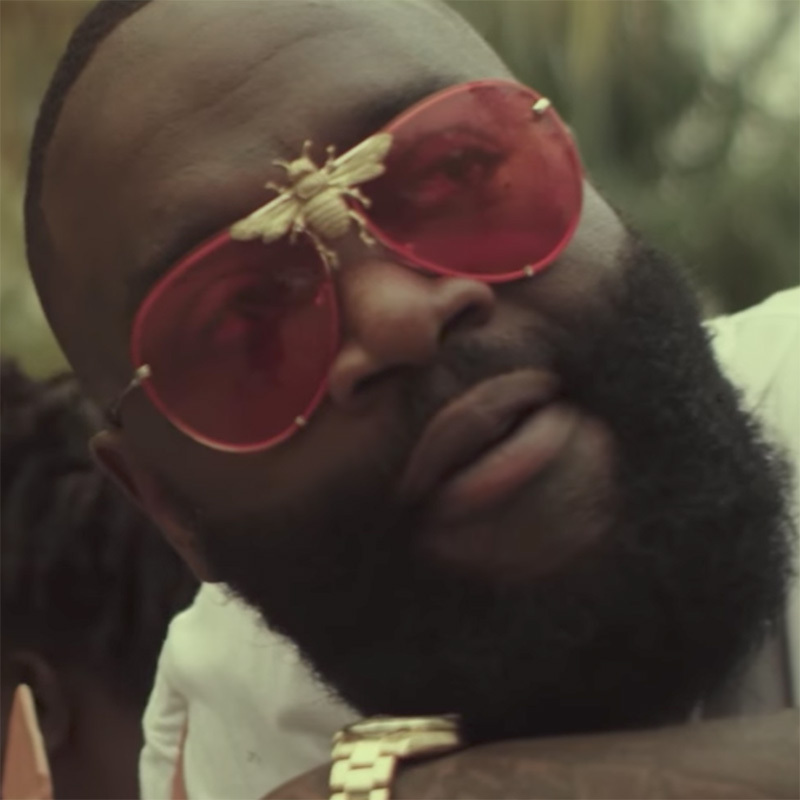 Rapper Rick Ross wears Tnemnroda I'll Be Rich Forever sunglasses in the Bruno Mali's music video Monkey Suit on which Ross appears. The style is named after Ross, with Rich Forever (2012) being one of the most successful mixtapes of the rapper. 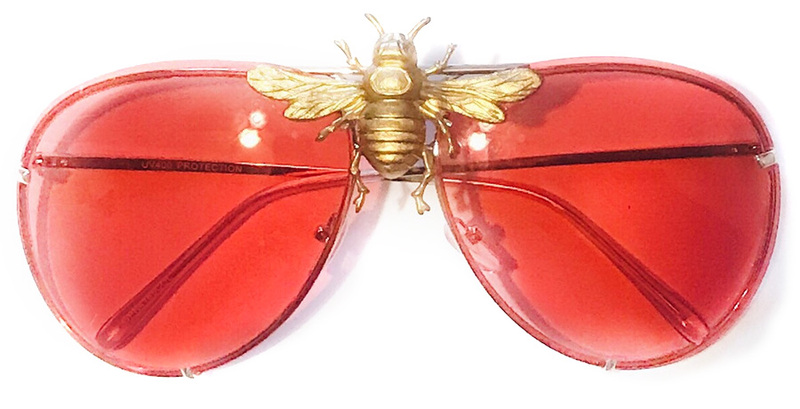 These oversized Aviator style synglasses come with a 14k gold bee the frame. 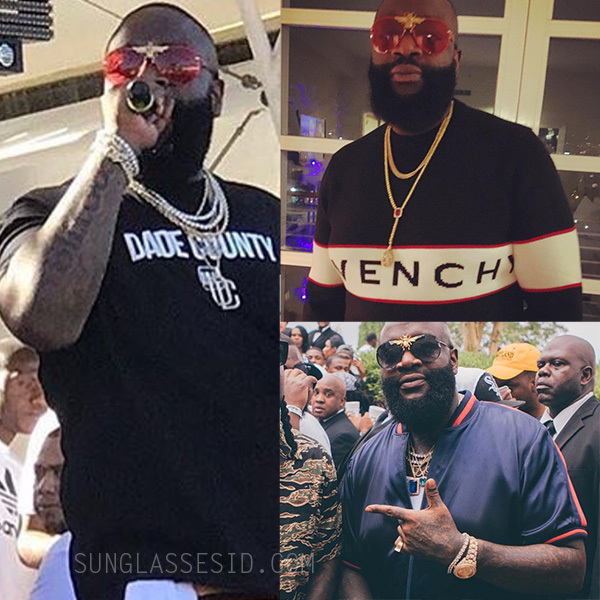 Rick Ross, aka I'll Be Rich Forever, wears the red version of the sunglasses (also available in other colors) with the large gold bee on the front. The glasses are available for only $250 at Tnemnroda.com. Ross also has been spotted with the 'Red' sunglasses during some performances and the 'Black Out Edition' of the same sunglasses on some of his Instagram photos. Tnemnroda (pronounced "nem-row-da") sunglasses are designed by Samantha Smikle and show influences from her Caribbean background, acclaimed designer. the handcrafted New York-based brand is also carried in boutiques in Hong Kong, Dubai, Greece, UK, Canada, NYC, Houston and Miami. Ross is a fan of oversized aviator sunglasses, more of his sunglasses will be added to Sunglasses ID in the future.